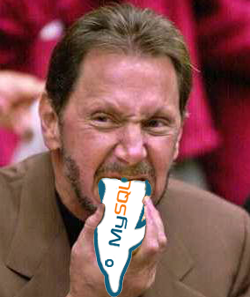 For some, Oracle's $5.6bn purchase of Sun Microsystems was good news for open source. After all, a mega tech vendor has acquired a hugely popular open-source database product and project: MySQL. But at the same time, as the European Union's anti-trust probe wore on, costing Oracle's chief executive $100m a month, and MySQL co-founder Monty Widenius ran a vocal web and press campaign against the deal, fears began to grow that Oracle and other big software companies would set the on-going drama as a reason to refrain from getting involved in open source. Some worried that the advances of the last ten years would come tumbling down. As it announced its strategy for its Oracle and Sun products last month, the database giant said that - far from being deterred by the experience - it will remain actively involved in open source. "If we someday acquire another company and that company happens to have open source products, we would be perfectly happy to pursue that opportunity," chief corporate architect Edward Screven told press at Oracle's Redwood Shores, California campus. Oracle's swallowing of MySQL closed a decade that saw free and open source (FOSS) leave the geek or enthusiast hinterland of IT and join the business mainstream, occupied by the likes of the database giant itself. Fittingly, it was Oracle in 1998 that helped usher in that acceptance through its pioneering decision to put its database and application server on Linux in 1998. The move was political, a way of sidestepping Microsoft's control of server operating systems through Windows. Since Oracle's endorsement of Linux, the kernel and operating system have penetrated everything from high-end data centers to handheld consumer electronics. Linux runs stock exchanges from New York to Tokyo. It powers Sony's Playstation, Tivo recorders, and Samsung TVs. It's on Google mobile phones, tens of thousands of Facebook servers and 90 per cent of the virtual images in Amazon's EC2 cloud. Late last year, ABI Research estimated that nearly one-third of the 35 million netbooks sold in 2009 would ship with Linux. Meanwhile, 11,000 lines of code are added to the kernel each day, an indication of the kernel's increasing utility in daily life and also one the sheer number of participants working on the project. Linux pulled open-source applications along with it. FOSS moved into middleware and applications: JBoss, SugarCRM, JasperSoft, Talend, and Terracotta all emerged in markets that had been dominated by closed-source products with expensive licenses from big vendors that included IBM, Oracle, SAP, Informatica, Microsoft, BEA Systems, and others. Open-source code produced Drupal, MediaWiki, Joomla, WordPress, Facebook, Firefox, and WebKit. Open source helped kill BEA, Borland WebGain, and - yes - Sun, which were either too slow in responding or failed to respond at all to the idea of free code and open systems. These companies could not find a way to justify charging people for their tools or middleware when people were gobbling up good-enough of better-than-expected systems from the open-source community. Another landmark of the open-source decade was that mid-way through the 2000s - and after many years of much talk - Sun released most of Java to the community. This was important because Java, once the upstart challenger in the world of programming, had by the mid 2000s become a mainstay of enterprise systems and mobile devices. People actually relied on Java. The only sticking point was - and remains - the Java test compatibility kits (TCKs) that prove compatibility and that Sun did not release to open source. So where does the chain reaction go from here and where will FOSS be in the next 10 years? The challenges are significant, and largely they are issues unresolved from the previous 10 years: intellectual property, companies' struggle to make money on a decent scale, tensions between the idealists and the more commercially minded members of the community, and the struggle to convince corporate users to participate and actually give back. They are challenges that, if solved, could see FOSS and Linux hit a whole new level in the next 10 years, but if unresolved permit uncertainty to fester in a way that ultimately limits their business and technological growth.